A Moonbow or lunar rainbow is an atmospheric formation that occurs when the moon´s light is reflected off water droplets in the atmosphere. This type of phenomena are similar to rainbows; however, unlike rainbows, which are created by the interaction between sunlight and water droplets, moonbows are produced by the interaction between water droplets and the light from the sun that is reflected off the surface of the moon. They usually form where tiny drops of water are forming, such as in a rain cloud, or close to a waterfall. They can also form during light rainy days. Moonbows appear white to the naked eye due that the low brightness is not able to activate the cone color receptor in the eyes. 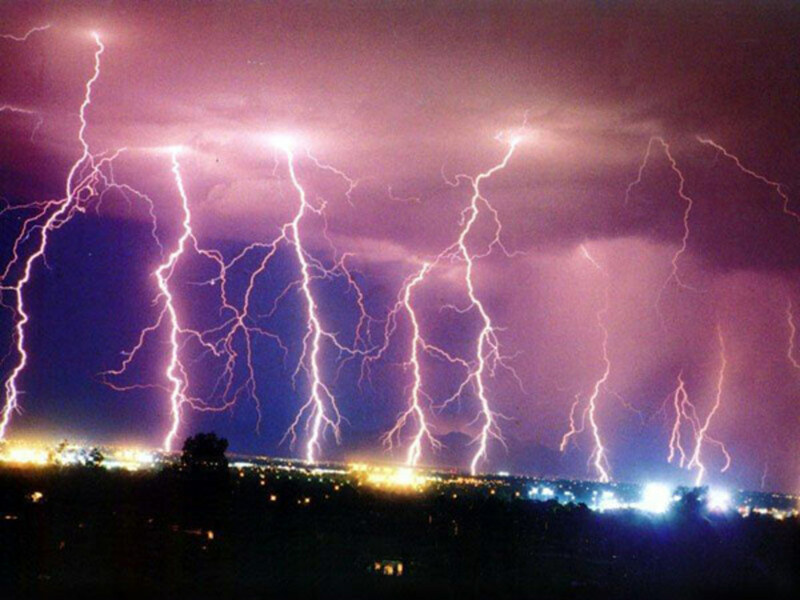 This type of atmospheric phenomena should be captured by a long exposure photography. 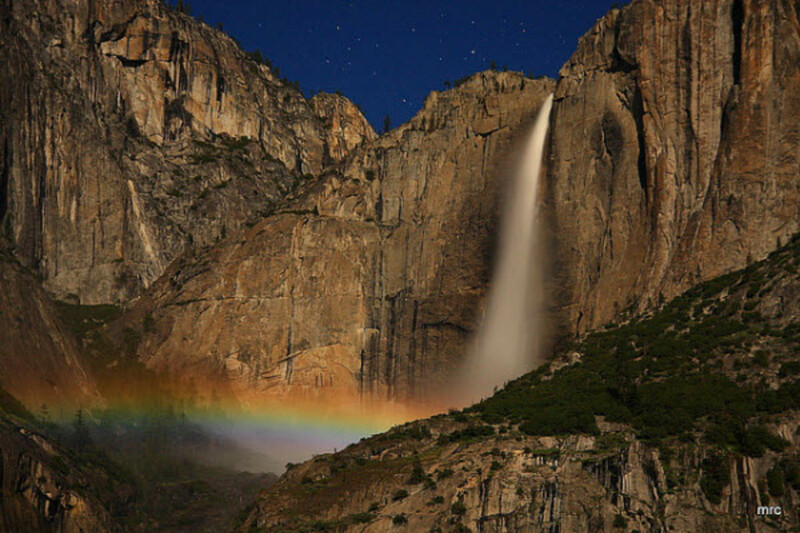 The light that is reflect off the moon creates a feeble Moonbow when interacting with the mist of a waterfall. Often an arc can be seen when the moon is shining up in the sky on a clear cloudless sky, letting a considerable amount of light to be reflected off the water droplets in the ambient. In this setting, the best way to observe a Moon bow is to situate yourself between the moon and the mist, with the moon behind you. They are most commonly observed during dark clear nights and far away from the source of city lights. 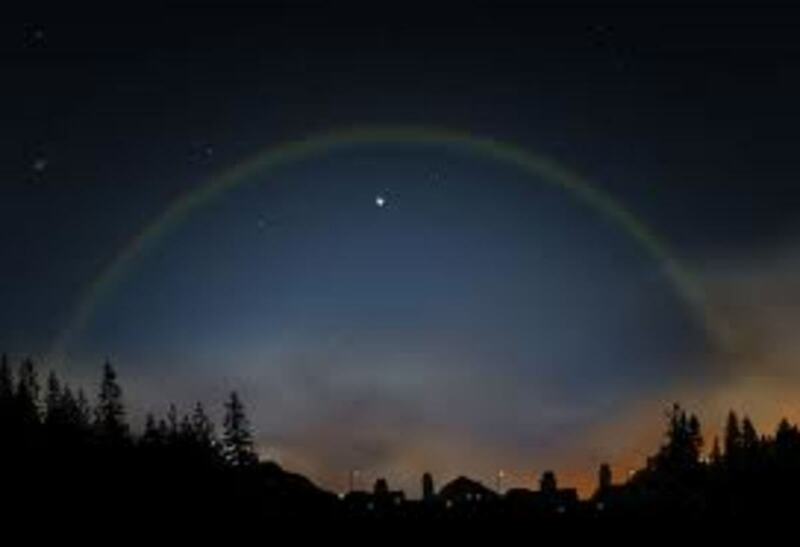 The way in which Moonbows are formed-via sunlight, moonlight, decreases the intensity of light, creating Moonbows that are almost imperceptible: in addition, this loss of intensity can be further increased by added luminosity. The best time to observe a Moonbow is during a full moon night. The moon must be positioned at a 45-degree angle or less above the horizon and this is needed to reflect the necessary light to make it observable by a viewer. They usually appear in the part of the sky that is apposite to the moon; the viewer must be positioned behind the reflective mist. Moonrainbow, Nightrainbow, Lunar Rainbow and White Rainbow. If you happen to be in the northern latitudes contemplating a moonbow with clear skies and a bright full Moon, the phenomenon may be accompanied by other natural phenomena, such as the glowing lights of the aurora borealis curtains with their characteristic green color in the background sky, such as in the photograph taken in Iceland. A moonbow is produced by reflection, refraction and dispersion of the light coming from the Moon and interacting with the mist or falling rain. A moonbow contains the colors of the spectrum; however, in not too intense full moon nights, only a white moonbow will be perceived. 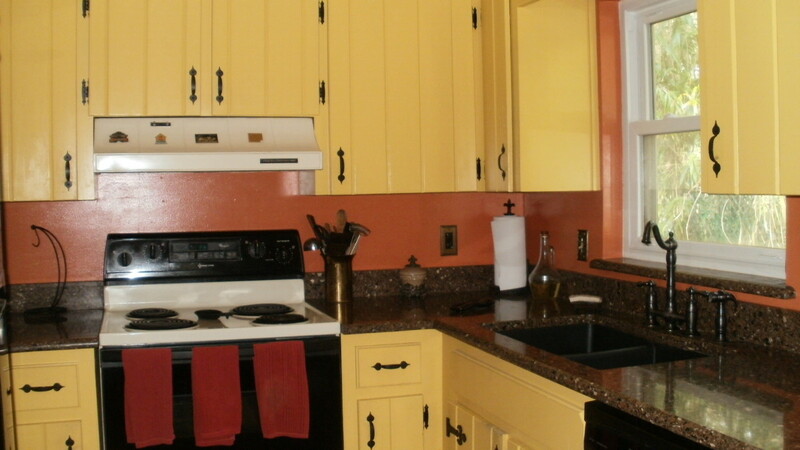 Its color varies from plain white to grayish white. Other names with which a moonbow is known include moonrainbow, nightrainbow, lunar rainbow and white rainbow. Do Moonbows form in your region of the world? Other names with which a moonbow is known include: lunar rainbow, white rainbow and space rainbow. For a moonbow to occur there must be good weather conditions with clear skiesand a full Moon; however, a clear moonlit night can be good enough to reflect enough sunlight to show a moonbow. A colorful moonbow is most commonly seen during the fall and winter season when the air in the atmosphere is drier. Moonbows are fascinating phenomena to watch. 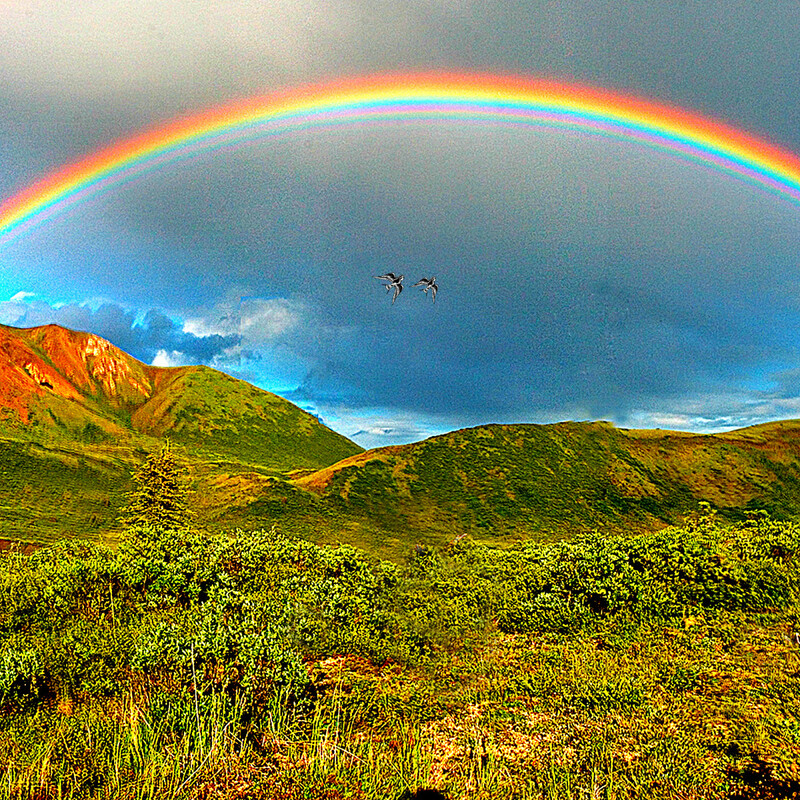 Moonbows are more rare than rainbows created by the Sun, as they depend on more factors other than just sunlight. 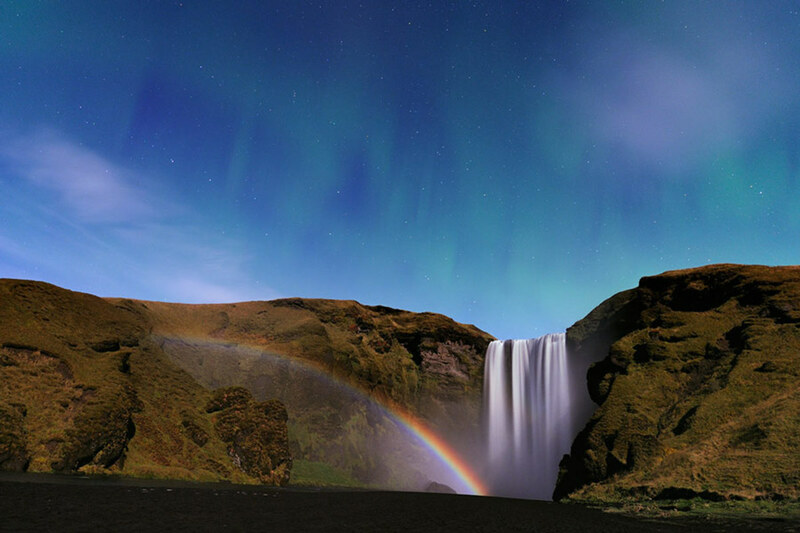 The most usual places to witness a moonbow are the ones that meet the required conditions for them to be seen, such as a waterfall. There are famous places in which mooonbows are known to become visible, including Cumberland Falls and Yosemite National Park in the U.S. Victoria Falls in Africa and Waimea Canyon in Hawaii. 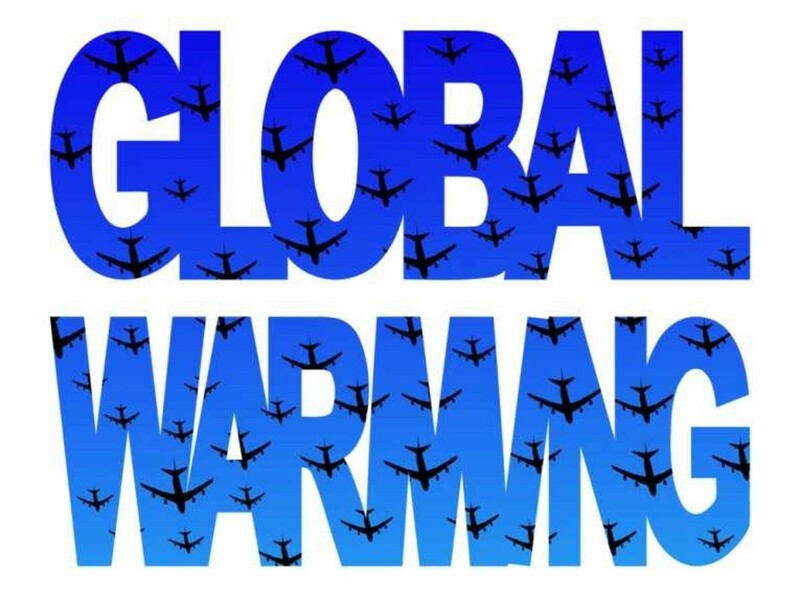 They also occur in Costa Rica and are produced by the Christmas winter winds during the months of December to February. The atmospheric disturbances that cause this phenomenon are known as ¨Pelo de Gato´ or cat´s hair in Spanish due to their resemblance to this pet animal. Cumberlands Falls, Kentucky claims to be the only place in the Western Hemisphere where a moonbow can be predicted for observation. 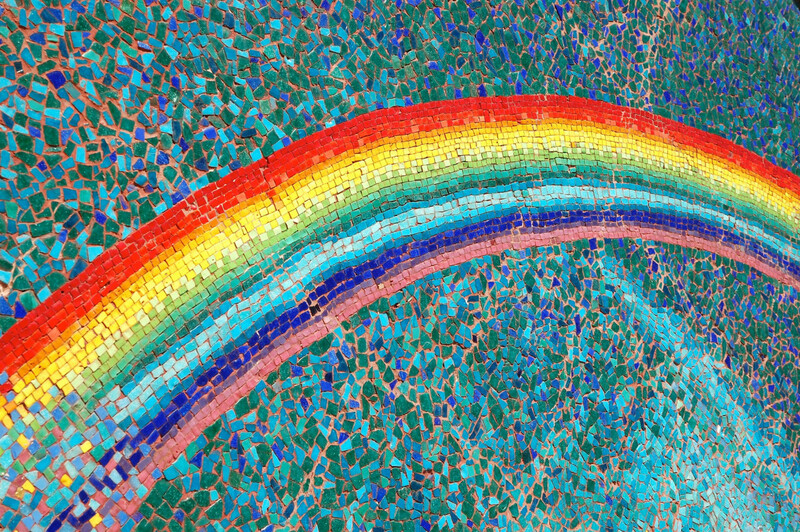 Noah: Ark Bible Crafts for Kids: Make Rainbows in Bags and Animal Tracks, Oh My! 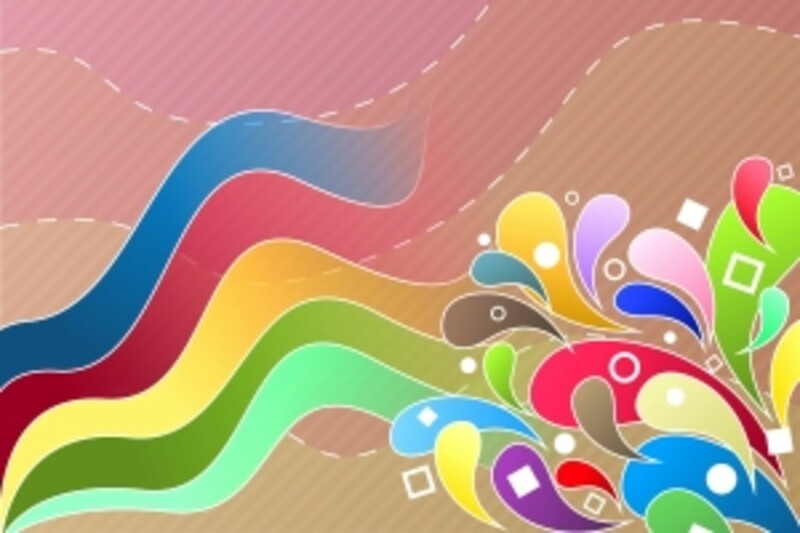 Thanks for taking the time to visit and commenting on this hub, Abdul Wahabone. That's all you need! A drizzle and the Moon behind the observer. Sufficiently dark and nothing outshining the moonlight. We were camping in Caerfai Bay, Pembrokeshire, Wales and about 10 days ago saw a moonbow. It was white and could be seen with our backs to the moon. The moon was just bigger than a half moon, there was a little drizzle in the air and it was a clear, dark night. We had never heard of a moonbow and it was a fantastic sight. This was a natural phenomenon, in the sky (like a rainbow) and not made by a full moon, waterfall or in one of the main places to view moonbows. The places I mentioned are the most renown places in the world where moonbows are known to occur, however, a waterfall or a light rainy night is likely to produce a moonbow, moreover, you can make a moonbow if you wait for a full moon and clear skies, then make a drizzle with a water hose. For this to occur, you have to be between the full moon and the drizzle, with the full moon behind the observer (you). Thanks. I was only visiting, but I'll pay more attention to a full moon if I go back. 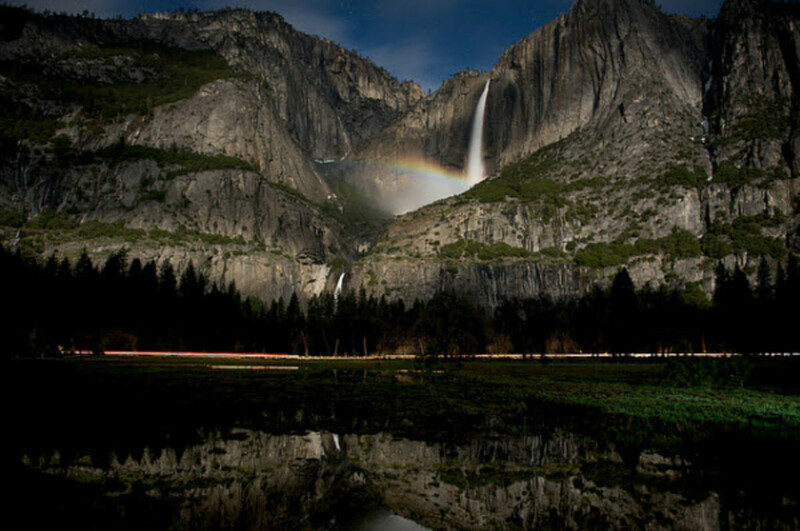 I thought they said the only other place you can see a moonbow is in Australia or New Zealand, but I see you have a picture from Yosemite. You also say they can be seen in Hawaii and Africa. I am more likely to go to Hawaii and visit Wiamea Canyon than go to Africa or even back to Corbin for that matter. Nice Hub. Thanks for answering my question. I visted Cumberland Falls near Corbin, KY but not sure that I saw one. I agree! This type of phenomena is interesting! If you live close to a waterfall, you might have to wait until you see a full Moon in the sky, along with a clear night. This might allow you observe a moonbow. Interesting. I can honestly say I've never seen a moonbow. I'll have to look into this some more.